For quick, convenient cleaning, the Morphy SuperVac 2-in-1 model really gets the job done. It won’t replace the standard upright in most homes, but its light frame and versatility make it great for cleaning on the fly. The consumer gets an effective cordless vacuum that works as an upright and as a handheld and it comes at low price. The Morphy 732000 SuperVac 2-in-1 cordless vacuum is designed to offer quick and convenient cleaning and for the most part, it does deliver. 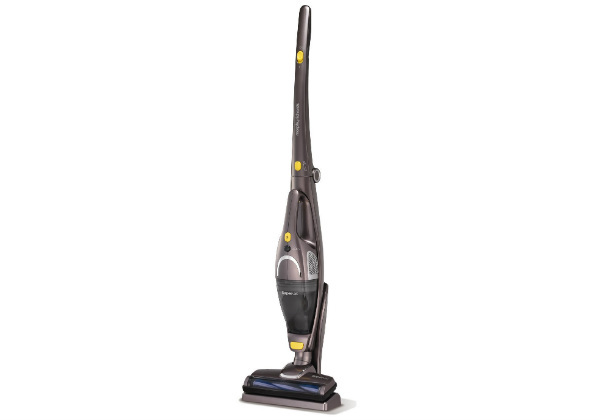 This model works as an upright and it also has a detachable handheld for more cleaning options. You get all of the tools that you need for most home cleaning jobs and the cordless feature and low weight make it really good for quick cleaning anywhere in the home. This machine does provide effective cleaning when the user has it in the upright mode. 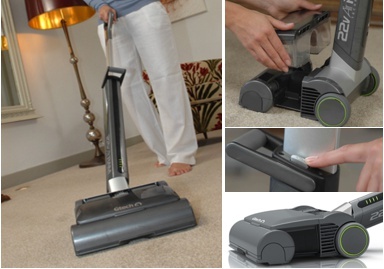 It has a motorised brush-bar and strong suction to remove things like dirt, dust and pet hair. It is designed to handle just about any type of flooring and you should be satisfied with the results regardless of whether it is being used on hard floors or carpets. The lightweight design (weighs less than 4 kilos) and swivelling head also make it easy to handle. The user will have no problems steering this machine around the home and it gets around furniture with ease. The handle can also go down pretty low, which makes it great for getting under tables and chairs. In the handheld mode, this cordless vacuum is really convenient. It detaches from the upright model with ease and it can be taken just about anywhere for a range of different cleaning jobs. You can use it to clean your stairs, the furniture and it can be great for tidying up the inside of your car. You also get a range of tools that connect to the handheld. It comes with an upholstery nozzle, a crevice tool and a dusting brush. The SuperVac is also pretty good with charging and storage. It comes with a nice charging dock for storing the vacuum and the handle folds down to allow the user to keep it in a cabinet or cupboard. It only takes about 5 hours to charge and the user gets approximately 20 minutes of cleaning time on a full battery. Some consumers have voiced a little displeasure over the small size of the dust canister. Being a portable stick vacuum, it has a dust capacity that is lower than what you would expect from a standard upright model. 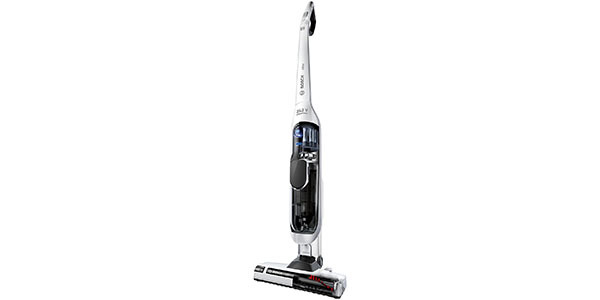 If you are expecting it to be the only vacuum in a home that has a lot of carpeting, then it will not be very practical, but that is not really what these portable models are designed for. A machine like the 732000 is intended to be a secondary solution for quick and convenient cleaning.